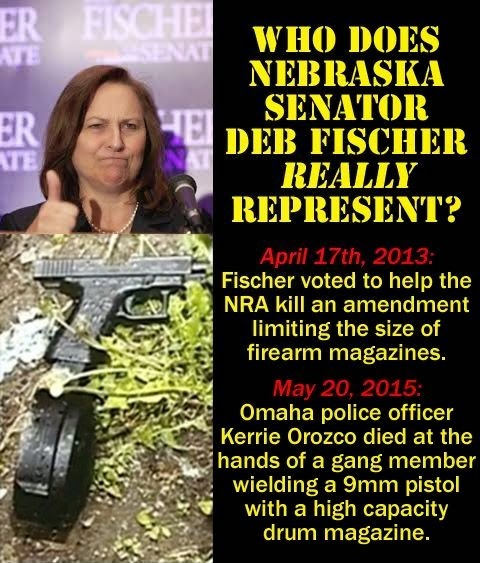 AKSARBENT: Are voters getting fed up with Sen. Fischer's "thoughts and prayers" song and dance on assault weapons? Are voters getting fed up with Sen. Fischer's "thoughts and prayers" song and dance on assault weapons? But none of that is resonating more than the increasing glaring gap between her boilerplate "thoughts and prayers" reactions to gun carnage and her actions in the Senate to block attempts to stop such carnage with common sense laws placing large bullet magazines and high-velocity assault weapons out of the hands of civilians.